Long ago, in that bizarre time known as High School and College, I wrote video game reviews for a tiny gaming website. That website ceased to exist year ago, having never found an audience. I'm quite glad that it has disappeared, because most of what I contributed was embarrassing at best. However, I did enjoy writing about games, and they are still one of my primary hobbies. While I don't feel like providing traditional reviews quite yet, I thought it would be useful to give my impressions of games I'm playing lately. 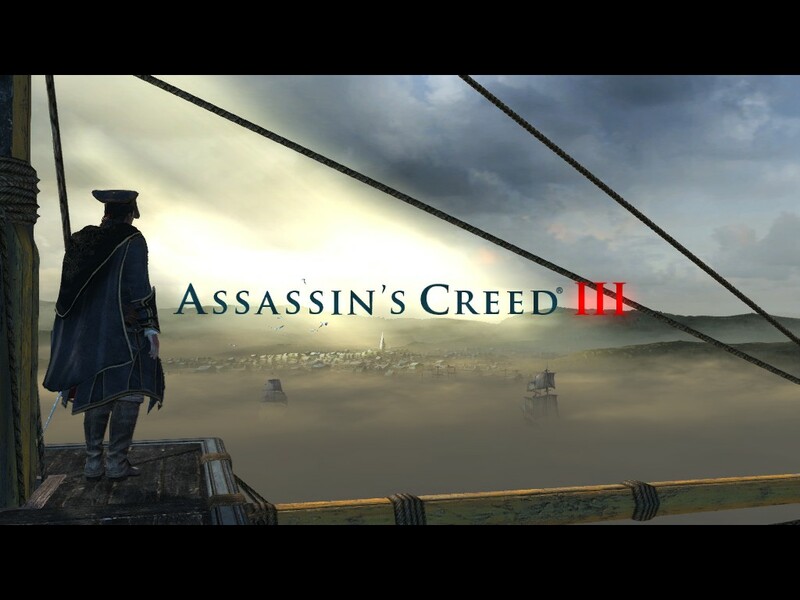 The series of Assassin's Creed games have an amazing concept at their core. Each game follows a character in a different historical era, showing their exploits as they affect history and we see how things "really happened." Each of these characters is part of a secret order of assassins, which grants them amazing parkour abilities that allow for thorough exploration of famous locations. Unfortunately, the games have always been hobbled by some bad decisions. The game tries to justify both game mechanics and the changes in historical eras with an overall story about some apocalyptic threat coming in 2012. Each game is the experiences of the assassins' descendant, who is re-living their memories to learn how to save the world. 2012 has come and gone, yet they are still making these games, which means the overarching story is pretty much a tool and not an actual plot. The games also fail to live up to their concept. While everything going on is supposed to be the shadowy truth to history, your actions usually end up being ludicrously over the top. You might assassinate a corrupt political figure in Venice, but you'll do the deed only after murdering an entire legion of guards between you and the target. It's hard to believe there would be no accounts of a lunatic in a weird costume committing mass murder, secret societies or not. In truth, I've never played a game in this series. They're huge business and wildly popular, but the series focused on periods of history I only found mildly interesting. The latest game is set during the Revolutionary War, something I find more intriguing. So far, I'm finding the game plodding. 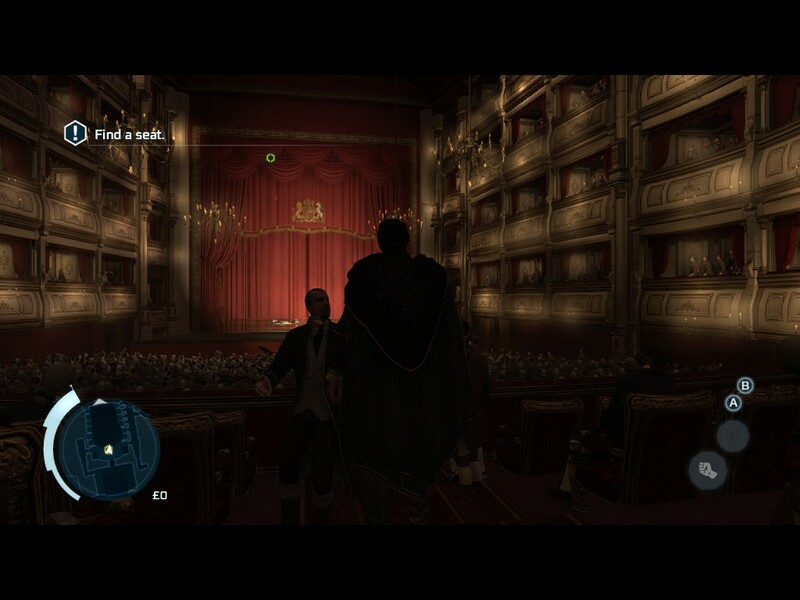 The story starts with you controlling a dignified Englishman named Haytham Kenway, seen engaging in some thrilling theater seating gameplay in the above screenshot. I know from what I've read that he's essentially a prologue character, and the majority of the game focuses on a completely different hero. However, after several hours of playing I'm still following around Haytham Kenway, and watching a well dressed Englishman climb walls and jump in haystacks is only entertaining for so long. My impressions of this game won't improve much if it doesn't get to the point soon. 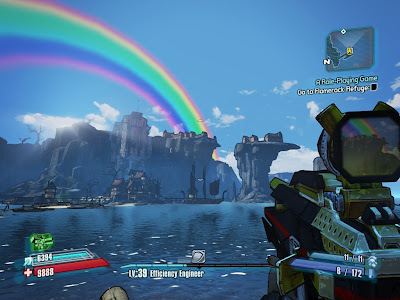 Borderlands 2 is one of my favorite games of the last year or two. It combines traditional First Person Shooter (FPS) gameplay with Role-playing Game (RPG) style progression and a lot of absurd humor. The key to the game is the item system based on random generation, which results in an ever-changing variety of weapons. Every gun found has the potential to change how you play the game, because almost every gun is unique in some way. Since the game's release, lots of downloadable content (DLC) has been released. Some of these have been extra missions and new places to explore, but the quality of that content has varied between extremely good to dismal. 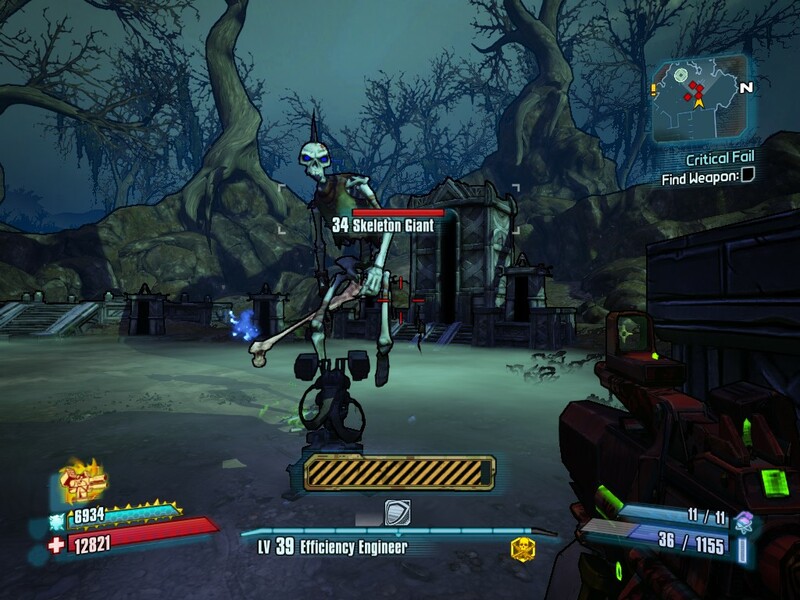 Last week, the last announced DLC was released, Tiny Tina's Assault on Dragon Keep. So far, it's both a great finale to the overall game and a lot of fun. The plotline takes the humor of the game and focuses on it. The story is that some of the heroes of the series are playing a Dungeons and Dragons type game while taking a break. The game is controlled by Tiny Tina, an unbalanced young girl, and minor character, who faced a lot of tragedy during Borderlands 2's main storyline. Her absurd decision making and logic affect the world around you as you play. Giant dice fall from the sky, environments change in an instant from beautiful to desolate, and madness rules the day. The art style of the Borderlands games is cel shaded, giving everything an animated feel. This fits perfectly with the fantasy aesthetic in this DLC, as you fight skeletons and knights rather than wasteland raiders and mutants. The entire experience so far has been gorgeous, and I'd almost recommend buying the game based on this content alone, even if it does cost extra. I've been buying lots of games lately through indie bundles. These bundles, found through websites like Humble Bundle and Indie Royale, include an incredible amount of independently developed games sold through a pay what you want model. Even when purchased for the recommend average price, these bundles provide amazing assortments of games for a fraction of their original price. I've been trying out a lot of random indie games lately as a result. Gatling Gears was featured in Indie Royale's latest bundle. The game is rather simple at its heart. It's a twin-stick shooter, a game type where you control your vehicle or character with one control stick while aiming with the other. This allows for the precision necessary to survive the incredible amounts of enemies and projectiles you must avoid in these games. Gatling Gears is a rather straightforward example of a rather old genre, with a less punishing difficulty than some of its forebears. 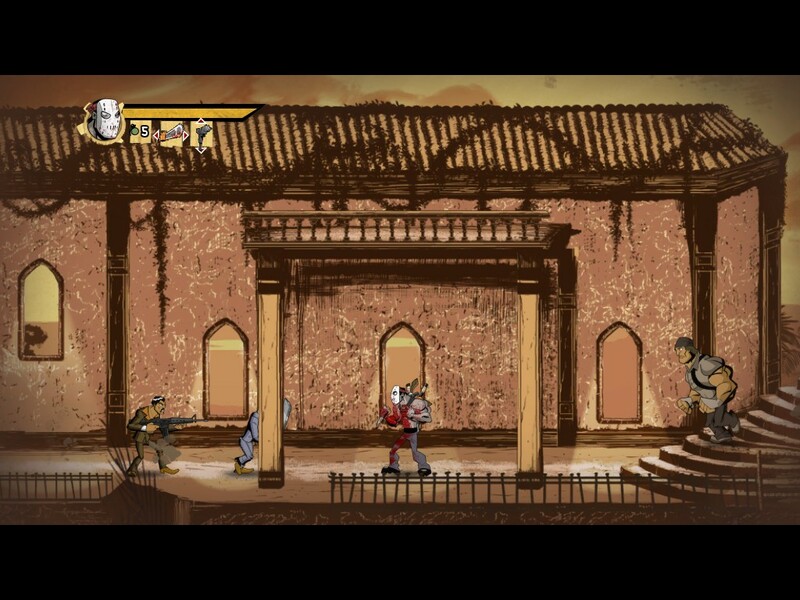 However, the game has a spectacular art style and steam punk aesthetic that makes the whole experience charming. 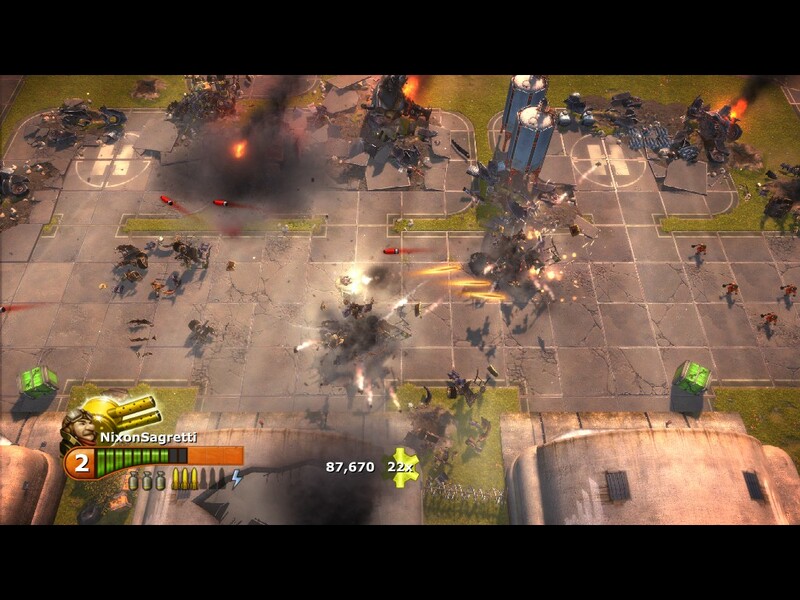 Piloting a tiny, mechanized suit of armor is just a lot of fun, even if the overall game is rather simplistic. This is a great game to play for 15 or 30 minutes at a time. The brawler is one of the oldest video game genres. The concept is simple, journey from point A to point B while having fist fights with enemies C through ZZZ. The genre has evolved over time, but in the early days you pretty much spent an entire game walking left to right while punching everything in your way. 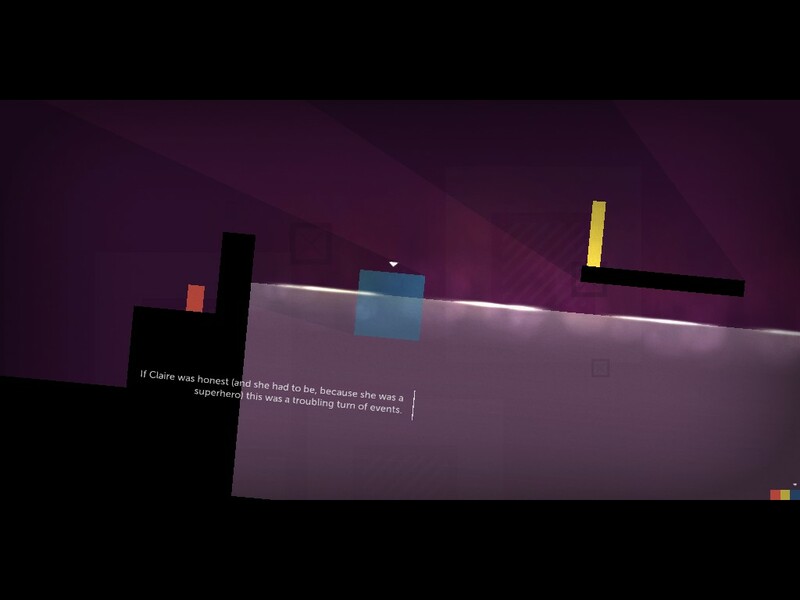 Shank embraces those simplistic origins, with gameplay locked in two dimensions. 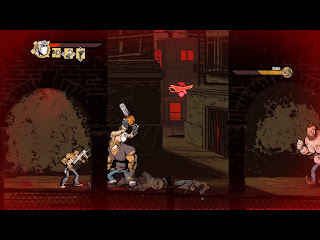 Instead of simple punches and kicks, however, you gain an arsenal of weapons, including a chainsaw, shotgun, and even the titular shank. This makes for some decidedly bloody and brutal action, though enemies never show actual damage from all the violence. 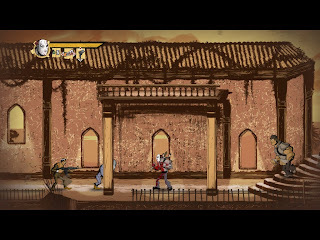 Those enemies also return the excessive violence in kind, making the game a careful dance of avoiding and attacking enemies in the most efficient and elegant ways possible. There is some gore in the game, but it is almost exclusively found in animated sequences between levels. 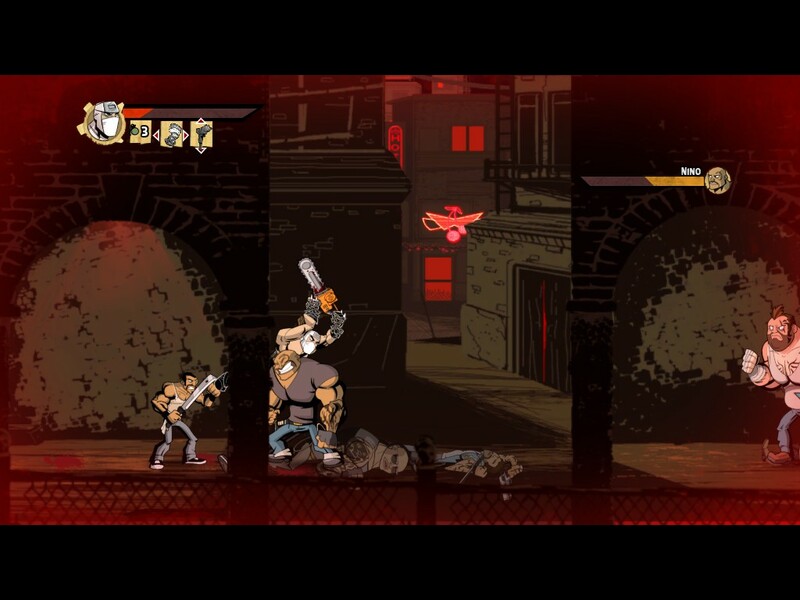 The game is essentially a cartoon homage to Quentin Tarantino and Robert Rodriguez movies, with a revenge plotline played so over the top that it quickly becomes comical. Unfortunately, the game plays the story a little too seriously, even while the violence and characters grow more and more absurd. The game is also sometimes frustrating, especially when certain enemies continually make the player fall over. Help Me, I Can't Get Up: The Game is not especially fun. However, I'm still finding Shank a fun experience. It's not especially long and levels don't outlast their welcome. Like Gatling Gears, it's a good game for a quick time killer. Thomas Was Alone is amazing. That's really all I want to say, so that I avoid spoiling the experience. However, I've seen many people dismiss the game due to the minimalist art style or worries that the game is overly pretentious. A little more explanation is necessary, then. Thomas Was Alone is a case of the sum being countless times more than its parts. The gameplay is simple but well designed. 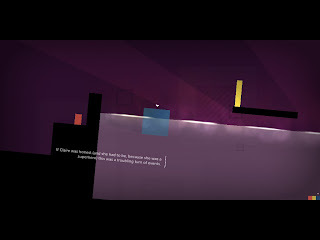 You guide shapes with different abilities through puzzles. The characters are literally just shapes, navigating a world without curves. The music is lovely and well matched to the game and story. What ties everything together is the narration and story. 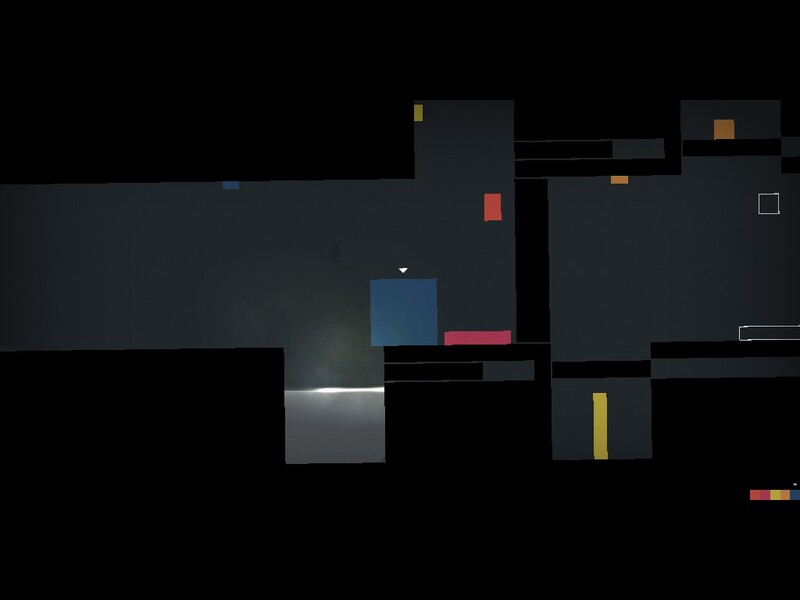 The game follows the exploits of Thomas, an artificial intelligence inside a computer than gains awareness after a power surge. He journeys through the computer finding other AI while trying to understand the nature of his word, and finally change it. All of the story is voiced by a charming British narrator, who does an amazing job hitting just the right tone at all times. Everything fits together so well. Each shape represents a different AI, and their personalities match their abilities. The small square can barely jump and is self-conscious about his lack of abilities. The tall rectangle can jump high and tends to see the other shapes as inferior. You quickly see these shapes as compelling and sympathetic characters. This allows the game to explore important themes like friendship, love, selflessness, sacrifice and loss without feeling inaccessible. Thomas Was Alone only takes about 3 or 4 hours to complete, and only a few of the puzzles are especially challenging. It's definitely worth playing for anyone that cares about narrative and story. Even a slightly anti-climatic ending couldn't spoil what has been one of my favorite game experiences.